Sometimes I buy things at the store with the best intentions to use them for this, that, and the other. However life happens, and before I know it, I HAVE to use said item or I am going to lose it! To begin place a soup pot over medium/high heat and add 2-3 tbsp of extra virgin olive oil. While the pan it getting hot, prep your vegetables. To the pan add the onion. Allow it to cook 1-2 minutes until soft and translucent. Now you can add the garlic. Cook until you smell it coming from the pan. To the pan you can now add the chicken stock. Bring to a simmer, cover, and cook for 20 minutes, until the cauliflower is tender. After 20 minutes, place half of the cauliflower and broth into your blender. Buzz into a puree and then repeat the process with the second half. My puree seemed a little thing. I wanted a creamier texture so I added Parmesan cheese & whisked it until smooth. Then I added the salt. I wanted to soup to be a tad bit creamier so I added the heavy cream. Then I combined the corn starch and the cold water, mixed them together, and made a slurry. I added it to the soup. This will thicken it to the texture I like. Let it simmer for a few minutes more so it has time to thicken. I also recommend letting this set for 10 minutes to cool. And there you have it! 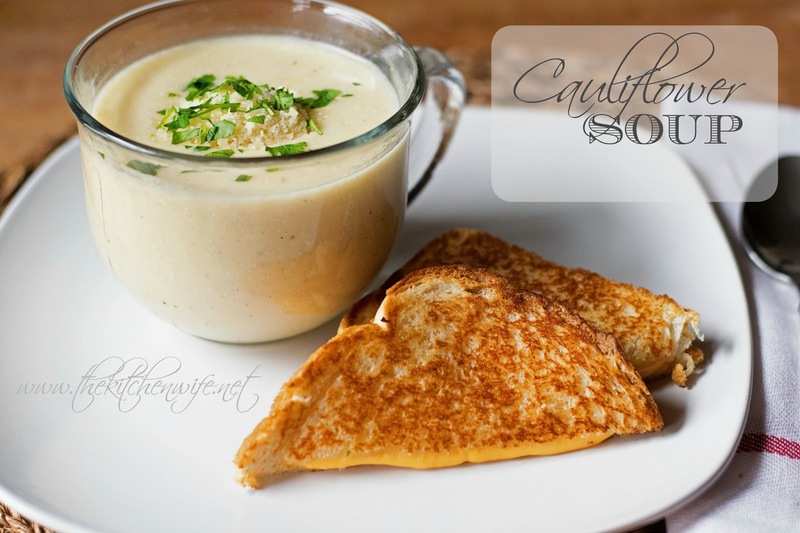 A delicious, flavorful, and creamy Cauliflower soup! You won't believe how filling this is, and the best part...The kids will never know they are devouring all of those vegetables! 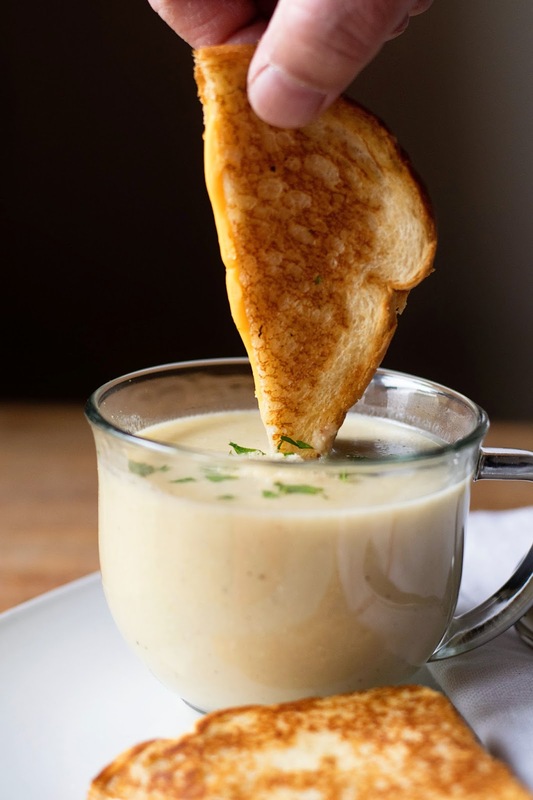 Tonight I decided to serve this with a good ol' fashioned grilled cheese sandwich, because let's face it, this is the PERFECT dipping soup. 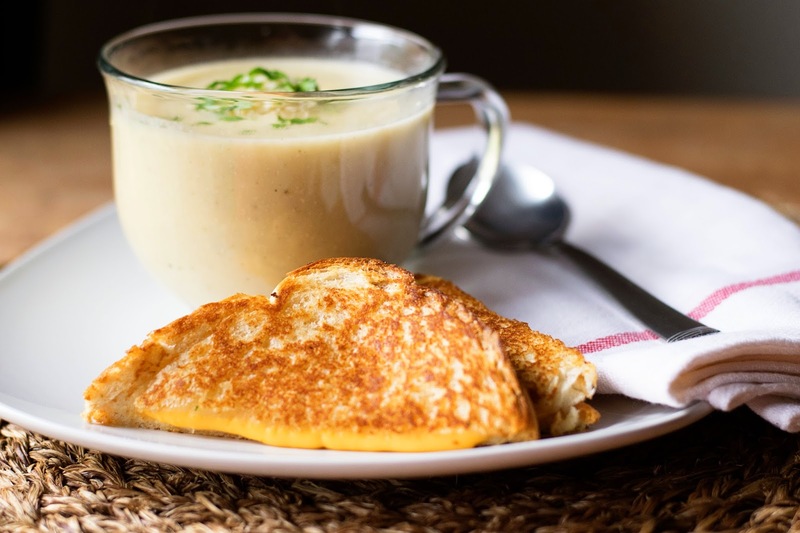 I am so glad I reached out to you readers and came up with this delicious soup! I KNOW this will NOT be the last time it sees my table! Add Parmesan cheese & whisk it until smooth. I added it to the soup. This will thicken it to the texture you like.